Note: This woman has the most fascinating biography I’ve ever read, hence this post is very long. Edith Piaf, born Edith Giovanna Gassion on December 19, 1915, is widely regarded as France’s national popular singer and is one of France’s greatest international stars. Despite numerous biographies, her life is shrouded in mystery. She was named after the World War I British nurse Edith Cavell, executed for helping French soldiers escape German captivity. Her father was a street acrobat performer from Normandy, her mother a cafe singer. Her parents abandoned her and young Edith went to live with her maternal grandmother. When her father enlisted in the French Army in 1916 to fight in World War I, he left her in the care of his mother, who ran a brothel in Normandy. As a result of keratitis, Edith was legally blind from ages 3 to 7. One of her biographies stated that she recovered her sight after some of her grandmother’s prostitutes pooled their money to send her on a pilgrimage to honor Saint Therese of Lisicux. Edith was discovered in 1935 at a nightclub by Louis Leplee in the Pigalle area of Paris. He persuaded her to sing despite her nervousness and small stature; he also dubbed her La Mome Piaf (the Waif Sparrow). He gave her her stage presence and suggested she wear a black dress (which became her trademark). Leplee ran a publicity campaign attracting celebrities to hear her sing. On April 6, 1936, Leplee was murdered. Piaf was questioned and accused as an accessory, but acquitted. Leplee had been killed by mobsters with previous ties to Piaf. Negative media attention ensued. To reignite a positive image, she recruited Raymond Asso and changed her stage name to Edith Piaf and barred undesirable acquaintances from contacting her. In 1940, she co-starred in Le Bel Indifferent and began forming friendships with prominent people. In 1944, she discovered Yves Montand and became a mentor until his popularity was on level with hers. At this time, she was much in demand and popular herself. After the war, she became internationally known throughout Europe, the U.S., and South America due to some touring. She eventually appeared on the Ed Sullivan Show eight times and performed at Carnegie Hall twice. Her signature song, la vie en rose was written in 1945 and was voted a Grammy Hall of Fame Award in 1998. Back in Paris, at the Paris Olympia, the most famous venue in Paris, she gave a series of concerts between January 1955 and October 1962. Excerpts from five of these concerts (1955, 1956, 1958, 1961 and 1962) have never been out of print on record and CD. The 1961 concerts (which saved the venue from bankruptcy) debuted her song non, je ne regrette rien. In April 1963, she recorded her final song l’homme de Berlin. Piaf was married three times (her maid of honor in her first wedding was Marlene Dietrich). In 1951, she was severely injured in a car crash, in which she broke her arm, two ribs and consequently developed serious addictions to morphine and alcohol. Two more near fatal car crashes didn’t help her situation. 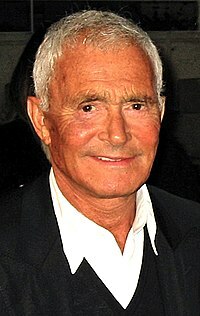 Vidal Sassoon was born in Hammersmith, London. His parents were Sephardi Jews, his mother from Spain; his father from Greece. His father left his family when Vidal was 3. His mother placed him and his brother in a Jewish orphanage. At 14, Sassoon started a hairdressing apprenticeship. At 17, he became the youngest member of the 43 Group, a Jewish veterans underground organisation that broke up the British Union of Fascist meetings. Sassoon trained under stylist Raymond Bessone at his salon. He began his line of hair care products in 1973. After a lot of buying out, by 2004, Sassoon was no longer associated with his own brand. In 1982, he started the Vidal Sassoon International Center for the Study of Antisemitism. Sassoon was diagnosed with leukaemia in 2009. On May 9, 2012, he died at his home in Bel Air, Los Angeles from complications. He is survived by his fourth wife, and four children. 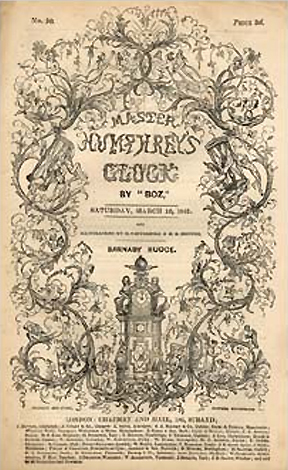 Master Humphrey’s Clock was a weekly periodical edited and written by Charles Dickens. It was published from April 4, 1840 to December 4, 1841. It centers on Master Humphrey and his small circle of friends and their penchant for telling stories. Two of the short stories were developed into their own novels (The Old Curiosity Shop and Barnaby Ridge). In the 1960s, cyclamate became a popular artificial sweetener. Pillsbury added Sweet*10 to that and in 1964, introduced a Funny Face Drink Mix to the world. The original flavors were Goofy Grape, Rootin Tootin Raspberry, Freckle Face Strawberry, Loud Mouth Lime, Chinese Cherry (re-named Choo-Choo Cherry) and Injun Orange (re-named Jolly Olly Orange). Lefty Lemon and other flavors followed the next year. Cyclamate was eventually banned and Sweet*10 and the Funny Faces were dropped, leading to a loss for Pillsbury of $4.5 million. After some changes, the Funny Faces were re-launched in sweetened and unsweetened versions. The show was well known for its “messy Art Attacks,” which Buchanan did a small version and a giant version in every episode. The program also starred The Head, a puppet stone bust who recapped the steps to make the art project. He would then display a version of the project that he did, which often was not quite right. In the first series, The Head (a live person version) was played by Jim Sweeney; Andrew O’Connor in the second series; then from series three and beyond was redesigned as the puppet and voiced by Francis Wright. The Head was absent from series 12, 13, 17, 18 and 19. Art Attack aired for 20 seasons before being cancelled in July 2007. In 2010, Disney Junior revised the series to air in Mexico and the UK. In 2011, the show was hosted by Jassa Ahluwalia for 26 additional episodes. In 2012, Lloyd Warbey became the new host for 21 episodes. 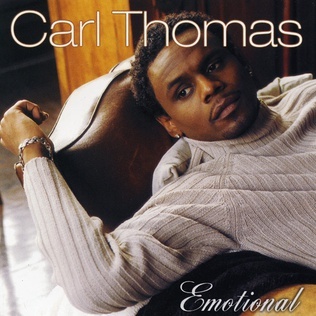 Carl Thomas was born in Aurora, Illinois in 1972. In 1997, while performing in New York, he caught the attention of Sean “Puffy” Combs. His debut single, I Wish flew to the top of the R&B charts for six weeks. His debut album Emotional hit #2 on the R&B Album chart, #9 on the Hot 200. His follow up singles charted well on the R&B chart, Summer Rain (#18/#80 on Hot 100) and Emotional (#8/#47 Hot 100) and his future looked bright. His follow up album Let’s Talk About It (2004) also fared well, peaking at #2 on the R&B chart (#4 on the Hot 200). The two singles from the album She Is and Make it Alright were minor hits, failing to crack the Hot 100, but hitting #56 and #33 on the R&B chart. So what happened? Thomas’ step brother was killed in a drive by shooting which caused him to take a sabbatical from music and delayed and interrupted the album’s promotion. In December 2006, he, alongside Chaka Khan, Yolanda Adams and Gerald Levert earned a Grammy nomination for Best R&B Performance by a Duo or Group with Vocals for their soundtrack (from Tyler Perry’s Madea’s Family Reunion) single Everyday (Family Reunion). Signed to Bungalo in 2007, he released So Much Better which again fared well on the R&B album chart (#2) and did very well on the Hot 200 (#25). The lone single (2 Pieces) from the album failed to crack the Hot 100, but hit #63 on the R&B chart. In 2011, now with Verve Music Group, he released Conquer. It hit #21 on the R&B album chart, but barely made a splash on the Hot 200 at #165. The lone single Don’t Kiss Me made it to #54 on the R&B Singles chart. Based on Jenaro Prieto’s novel El Socio (1928), The Associate stars Whoopi Goldberg, Dianne Wiest, Eli Wallach, Timothy Daly and Bebe Neuwirth. The film took in just under $13 million. 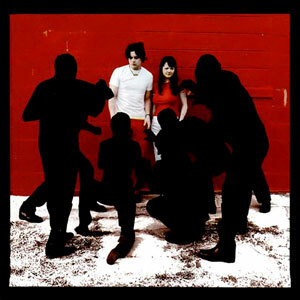 White Blood Cells was the third studio album from American alternative rock duo the White Stripes, released on July 3, 2001. The album was recorded in less than a week, produced by frontman/guitarist Jack White, their final record for the independent label Sympathy for the Record Industry and, if all that wasn’t enough claims to fame for one album, it launched the White Stripes into commercial popularity and brought them critical success. Known for “stripped down” garage rock, White Blood Cells was more primitive rock. The major label release on V2 Records in 2002 brought on the critical acclaim, acclaim that ushered in a revival of garage rock in the early 2000s. Trivia: The album was dedicated to Loretta Lynn who was friends with Jack and Meg White. The album peaked in the U.S. at #61 (#55 in the UK). The singles from the album: Hotel Yorba, was in a deleted scene of the movie 28 Days, but was still included on the soundtrack; Fell in Love With a Girl, peaked at #12 on the Modern Rock chart, #21 on the UK Singles chart; Dead Leaves and the Dirty Ground, peaked at #19, #25 in the UK and We’re Going to be Friends, the song was featured in the opening credits of Napoleon Dynamite. From 1956-1959, Fisher-Price’s This Little Piggy brought the children’s “game” to life. The five plastic piggies were soft and squeezable and made a noise when squeezed. The first piggy also contained a wooden ball that rattled when moved. Each pig made different “vocalizations” and, yes, the last one did go “wee-wee-wee” all the way home.